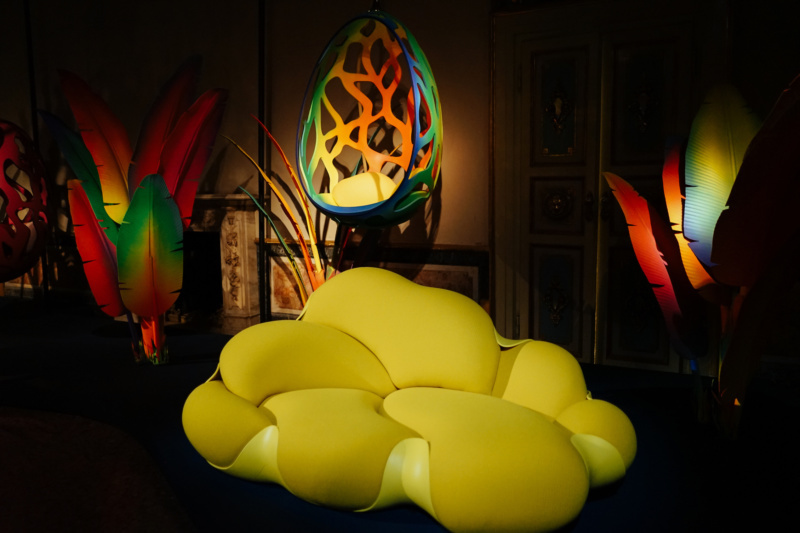 A view of Studiopepe's experiential installation, 'Les Arcanistes,' at Salone del Mobile. Photo by the author. Salone del Mobile Milano, one of the largest gatherings during Milan Design Week, comes to the city every spring. It can be described as a massive combination of all the fashion weeks our world has to offer; thousands of people flood the city to be first in line to see the world’s top brands, architects, and designers unveil astounding exhibitions and installations. 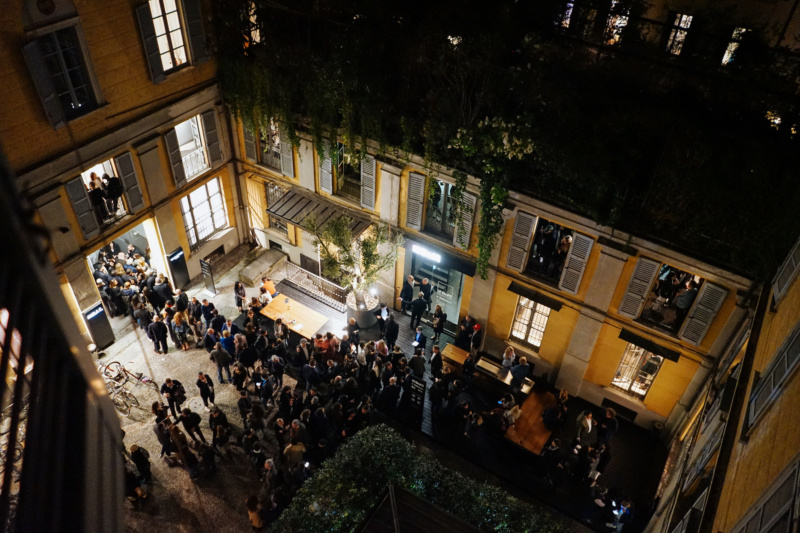 Crowds of viewers attend the opening parties at Salone del Mobile. Photo by the author, Joanne Jones. This edition of Design Week, taking place April 9-14, leaves little to be desired, with breathtaking design objects, thoughtful experiential installations, and dreamlike interior spaces. One could spend nearly twenty hours of their day hopping from exhibition to installation to cocktail party in historic locations all over the city as hundreds of events unfold. Amidst the chaos, here are the top design trends tastemakers have set for 2019. Eileen Fisher’s WASTE NO MORE. Salone del Mobile Milan, 2019. Photo by Ruy Teixeira. Courtesy of Eileen Fisher. An increasing awareness of environmental catastrophe, and the urgency to prevent it, is inspiring designers to rethink the lifecycles of products. Circular design deals less with the recycling of an object and more with the reuse and repurposing of material to bring it new life and new meaning. A successful circular design cycle works to leave no waste throughout the process of creation and use. If a user decides that an object no longer serves a purpose in their life, the object’s death will result in reincarnation as a new object or a contribution to the natural cycles of the Earth. A perfect example of this would be composting food waste that will be used as soil to grow more food. 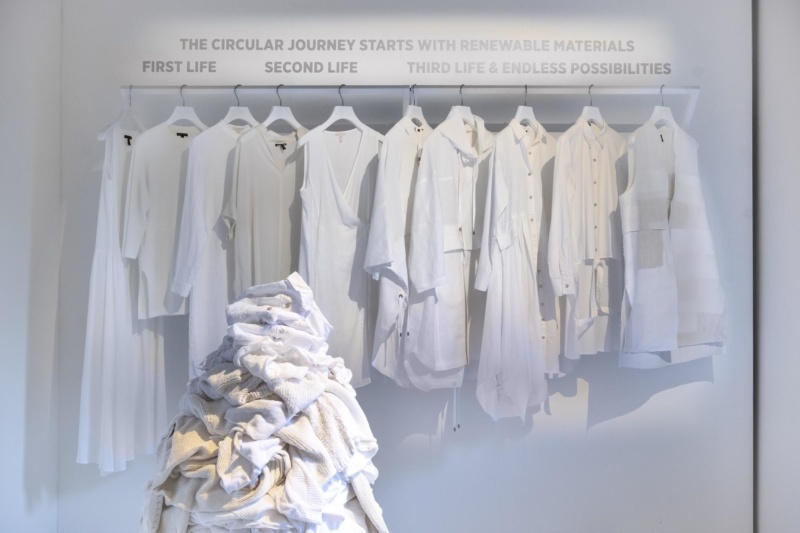 Eileen Fisher’s Waste No More installation at Galleria Rossana Orlandi demonstrates its zero-waste initiative by repurposing used clothing into works of art. Further into the gallery are works by designers exploring the ideas of plastic guilt and how humans can give life to used plastic, utilizing the material in endlessly transformative ways. And at Ventura Future, 83 exhibitors are showcasing bio-design and sustainable development projects that represent revolutionary future visions for a livable earth. A design object tarot reading takes place at ‘Les Arcanistes’ by Studiopepe. Photo by the author. Within the past few years, astrology, tarot, and other forms of mysticism have bubbled back to the surface of pop culture’s attention. 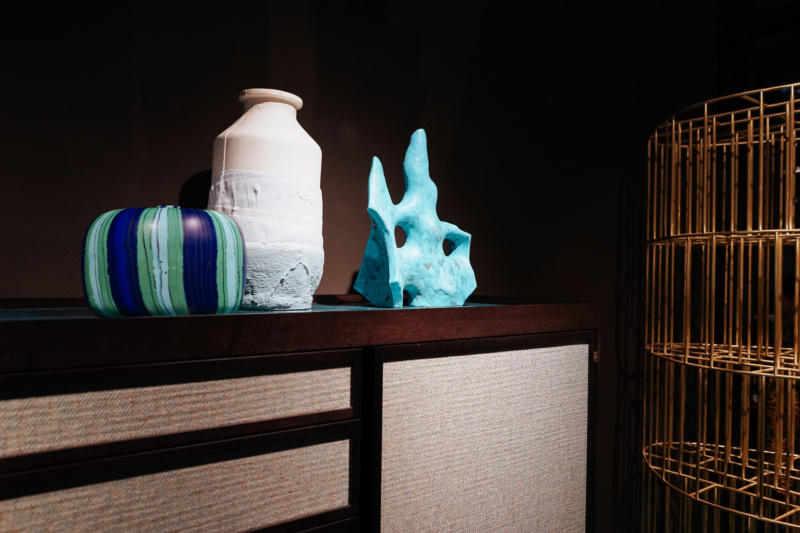 Receiving Chani Nicholas’ newsletters or downloading the Co-Star app seem to be more than just passing trends, as design studios such as Studiopepe and Dimore Studio incorporate touches of these mystical practices into their home collections. Studiopepe’s exhibition, Les Arcanistes, leads you through an experience of alchemy and divination, investigating the power between archetypal symbols and matter. 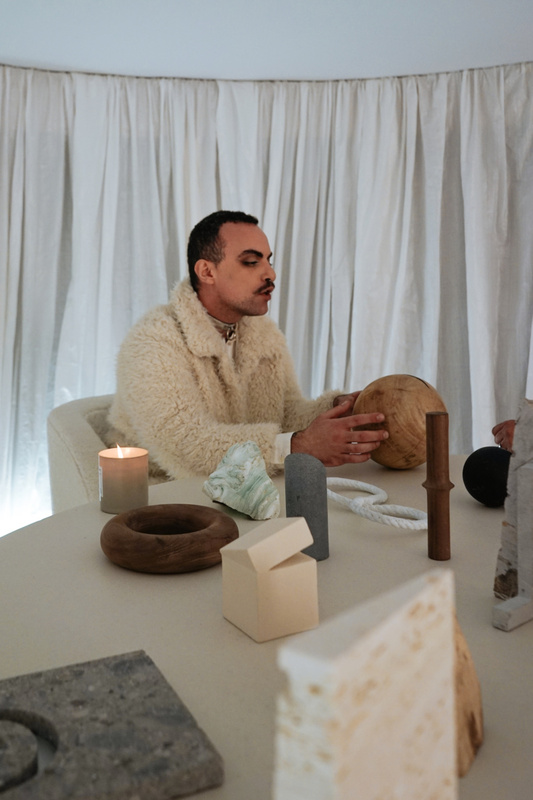 A dancer bearing water to those who wish to drink, a tarot reading using design objects, and other experiential divination practices take you on a mystical journey through their daydream exhibition. Dimore Studio takes a more subtle approach to mysticism, with stars and constellations adorning rugs, light fixtures, and credenzas. Louis Vuitton presents designs for its latest collection, Objets Nomades. Cocoon and Bomboca Sofa designed by Fernando & Humberto Campana. Photo by the author. Vibrant pops of neon and rich jewel-tones, geometric prints, brass, glass, mirrors, and other reflective surfaces dominate the showrooms at Salone this year. The ’80s are making a big comeback, but with a contemporary twist, as seen in the showrooms of Nilufar Depot, Cassina, Louis Vuitton, Moooi, Studiopepe, Sawaya & Moroni, Dimore Studio and more. Ceramics on display at the Ceccotti Collezione exhibition during Salone del Mobile. Photo by the author. Nilufar Depot, Molteni & C, and Ceccotti Collezioni, among others, are displaying raw, handcrafted sculptures and design objects consisting of materials like wood, ceramic, travertine, and marble. These objects reside next to sleek and sophisticated pieces of furniture, creating a stark juxtaposition between the process of machines and the process of human touch, containing a hint of wabi-sabi and speaking to the inexorable nature of human imperfection.